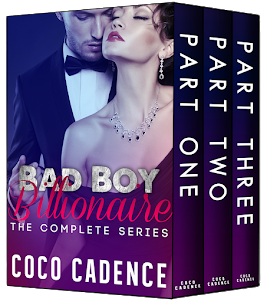 Author Coco Cadence: Double Trouble (A Menage Romance) - Now Live & Free with Kindle Unlimited! Double Trouble (A Menage Romance) - Now Live & Free with Kindle Unlimited! Now Live & Free in KU! A well-built, hung mechanic moves into your neighborhood. Not one … but two. Twins, to be precise. You stare, of course. And maybe drool a little too. My whole world turned upside down the moment those two hunks moved into the house next to me. Why? Because they’re actually fighting over me. I let both of them have me. Double Trouble is a short, smoking MFM menage story about a sassy girl and two boys who know what they want and take it. Lots of swearing and dirty talk with a sweet HEA. Be prepared: You’re going to need a fan to cool yourself off. Read it now - FREE with Kindle Unlimited! Abs the size of mountains. That’s what I’m looking at right now. Sweaty, glistening skin and muscles thick as rock. A guy with a chiseled jawline and a body to match it, moving boxes to a new home. Right next to mine. I peer over my shoulder like an owl, trying not to be conspicuous about it as I stand on a ladder and wash my windows. Totally not dangerous or anything. I just can’t keep my eyes to myself. Or my mind out of the gutter, for that matter. Oh, boy, how badly I want to lick those fine abs. Suddenly, I see another one just like him appear from behind the truck. The shock has me twitching. The ladder shakes, and I squeal as I tumble off. But I don’t just land in the soft grass. And I don’t see the sky or the sun above me. All I see is abs. Sweaty, toned abs. If this isn’t heaven, I don’t know what else it would be. “Are you all right?” one of the guys says, and my attention is drawn to his mouth. Beautiful lips. God, so precious, I almost want to touch them. Almost. I barely manage to keep my fingers down. Could I sound any more like a doozy? I rub the back of my head and check for any wounds, but there’s nothing. “Yeah … I just tried to lean too far to the right on the ladder.” I try to chuckle it off, even though I know I’ve been caught staring. “Washing the windows, I see,” he muses as he looks at the soap and water gathering between my legs. I quickly shove the sponge away, but it’s too late; my pants are soaked. He laughs and holds out his hand. When I grab it, the fierceness in his grip has my body trembling as he pulls me up to my feet. I lick my lips to swallow down the tiny bit of drool that was there. “Kayla Davis,” I reply when I notice I’ve been staring at him. Right when he releases my hand, another guy just like him walks up to us. I’m not kidding on the likeness. They are like twins. I can’t even tell the difference. “Who’ve we got here?” the guy says. “Kayla, this is Dean.” Dax points at him with his thumb and then slams his lips together. “Hey, beautiful,” Dean says, dropping a box right in front of his brother. “Smooth …” Dax whispers, making me giggle. “Aren’t you supposed to bring the boxes inside?” Dax says. I nod, but then he suddenly leans in and plucks a strand of grass from my hair. His cheeky smile is the only thing I can see as he lets go of the grass and it drifts away with the wind. “If you need any help with that, I’d be glad to take care of it for you,” he says. Help with that … all I can think about are his lips. And Dax’s. Jesus, I can’t tell them apart, and it’s driving me mad. They are both too delicious to put into words, but I shouldn’t get this distracted. “I meant with your windows,” he adds, making me blush. “Oh, no, it’s fine.” I laugh it off like it’s no big deal, but honestly, I am embarrassed. “Don’t let him fool you, Kayla. He doesn’t know how to use his hands,” Dax jokes. Use his hands … I wish he would use them on me. “Right … Well, we’ll be seeing you around, Kayla.” They turn around, and all I can do is stare at those perfectly sculpted asses barely covered with jeans, wiggling from side to side. I just died falling off the ladder and went to heaven. That, or I just hit the hot-stud jackpot.